The second battle of Tikrit is now over. It began on March 2 and lasted until April 4, when Iraqi commanders confirmed that the last pocket of Islamic State militants in the city had been eliminated. The battle pitted a combined force of approximately 30,000 Iraqi soldiers consisting of approximately 1,000 to 3,000 fighters from assorted local Sunni militias, roughly 3,000 to 4,000 men from the Iraqi army and about 20,000 members of various Shiite paramilitary militias. About 9,000 men were directly involved in the assault on the city while the remaining were either held in reserve or were deployed in defensive positions surrounding the city. In addition, 40 officers from the Iranian Revolutionary Guards' Quds Force, including Quds Force General Qasem Soleimani, were on the scene to direct the fighting. Iranian operated drones were deployed over Tikrit. There were also unsubstantiated reports of limited Iranian air strikes in support of the initial offensive. 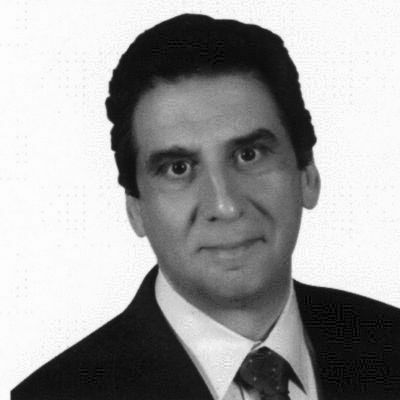 The United States initially was not involved in the operation. Later, at the request of the Iraqi government, in conjunction with British and Dutch air forces, the U.S. provided air support during the push into Tikrit's city center in the second half of the campaign. It is not clear whether the U.S. had any personnel on the ground directing the air attacks. The strength of Islamic State militants in the city has been estimated as being in a range from under 1,000 militants to as many as 13,000. The latter number seems too high as it would have represented a significant portion of the total strength of Islamic State. To date only about a 1,000 IS fighters have been accounted for, with 80 captured and between 700 and 1,000 killed. While it is likely that a few militants did escape through the Iraqi lines, it is unlikely that a force that large would have made it through the security cordon surrounding the city without being noticed or being engaged. A loss of that magnitude would have been a crippling blow to Islamic State. A more likely estimate is that the number of IS militants in the city was approximately 2,000 to 3,000 or so and that the number was reduced to around a 1,000 as the city was surrounded. 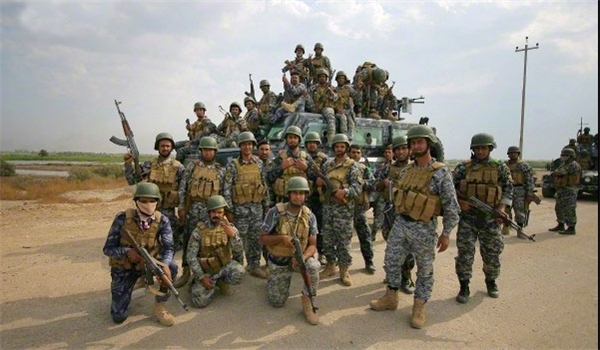 Badr Militia During the Second Battle of Tikrit. Photo courtesy FARS news agency. This was the first major city in the Sunni Triangle to be recaptured by Iraqi forces. It was the third time the Iraqi government forces had attempted to oust Islamic State militants from the city. Although the Baghdad government has had a number of successes against Islamic State militants since the start of the year, this was by far its most significant military victory. The Second Battle of Tikrit tells us a great deal about the difficulties that Iraqi forces will encounter in the campaign to roll back the Islamic State in Iraq, how that campaign will unfold and the likelihood of its success. 1. Iraqi forces initially made rapid progress in capturing outlying areas and encircling the city. 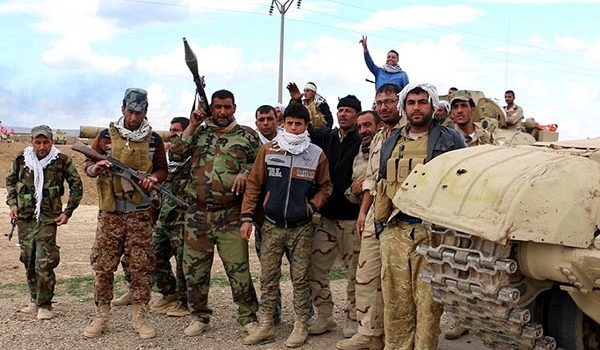 The only significant engagement was the battle, on March 9, to capture the town of Al-Alam in the northeast of Tikrit. Islamic State forces had dug a tunnel connecting Tikrit to Al-Alam. The town represented the only avenue of escape for the IS militants. When it fell, it completed the encirclement of Tikrit. The terrain surrounding Tikrit was relatively flat, easy terrain and lacked any kind of defense in depth. Such terrain is particularly vulnerable to air power. Moreover, the significant superiority in manpower and the Iranian practice of using "swarm tactics" to overwhelm an entrenched enemy with masses of mobile, lightly armed infantry units, proved effective in surrounding Islamic State positions and cutting them off from further reinforcement. Given the overwhelming numerical superiority in Iraqi forces, Islamic State militants had little interest in fighting a pitched battle and largely took defensive positions in anticipation of the Iraqi attack. Significantly in the summer of 2014, IS militants had successfully attacked Iraqi army forces with far worse odds than they faced at Tikrit. Going forward, it is likely that Islamic State will adopt a defensive posture intent on holding, heavily booby-trapped urban environments in a protracted war of attrition. 2. Once the outlying areas were secured, Iraqi forces made little headway in pushing back IS militants in Tikrit. Faced with a combination of large amounts of improvised explosive devices (IEDs) on the roads leading into the city and surrounding buildings and heavily defended "bunkers," the offensive stalled. Iranian "swarm tactics" were less effective in the cramped, street by street battle zone of an urban environment. 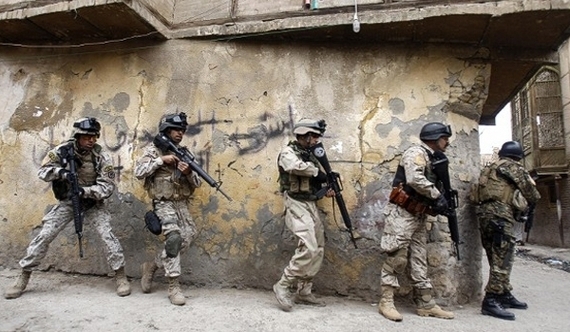 Moreover, the Iraqi forces lacked practical training in urban warfare. Air power proved to be the key in reducing resistance from Islamic State militants. Historically, air power has had limited effectiveness in supporting ground troops in an urban environment. Helicopters were usually far more effective but they were vulnerable to ground fire and portable surface-to-air missiles like the FIM-92 Stinger. Precision-guided munitions, however, have revolutionized the role of air power in providing close ground support in an urban environment. They allowed American and coalition air forces to specifically target Islamic State strong points in the city and opened up the way for Iraqi forces to advance and take control of Tikrit. Going forward, Iraqi forces will make only slow headway unless their advance is supported by American air power. Shiite Militias at the Second Battle of Tikrit. Photo courtesy FARS news agency. 3. The current coalition between the air forces of the United States and its coalition partners, the Iraqi Army, the remnants of the Sunni militias, and the Iranian directed Shia Militias is a highly tenuous one. Following the request of the Baghdad government for American air support, the Kataib Hizbollah (Hezbollah Battalions) and the Asaib Ahl al-Haq (League of the Righteous) militias suspended their participation in the operation in protest. Both militias are controlled by Tehran and it is highly unlikely that they would have withdrawn unless ordered to do so by Iran. It's unclear whether Tehran was sending the Baghdad government a thinly veiled message that it would have to choose between American or Iranian support in the battle against Islamic State or whether the militias in question truly objected to the involvement of the United States. There have been other instances in the past where both militias found themselves in military operations that included American air forces. In those instances they did not hesitate to take advantage of the benefits afforded by U.S. air power. Given the fact that neither the Iranian or the Iraqi air forces have the ability to conduct close ground support with precision-guided munitions, it's hard to see how future operations to take other cities controlled by Islamic State cannot involve American air power. At the very least, it is hard to imagine that an attack on Mosul could take place without the benefit of American air forces providing close ground support. Until newly trained Iraqi army units are deployed, keeping a coalition of such disparate elements together will be a formidable challenge for Baghdad. Moreover, it's not clear if once they are no longer needed, the Shia militias can simply be dismissed and told to return home. Effectively, these militias are a quasi-Iranian proxy army. Tehran may insist on keeping them engaged. 4. According to Iraqi government sources civilian casualties were limited to just two dead. The city had been largely abandoned by its inhabitants. Approximately 30,000 people in Tikrit were displaced by the fighting. The extent of the damage to the city is unclear, but at the very least the fighting destroyed large portions of Tikrit. Moreover, the process of identifying and removing the remaining IEDs, estimated at between 5,000 and 10,000, and making the city habitable, will take many months. 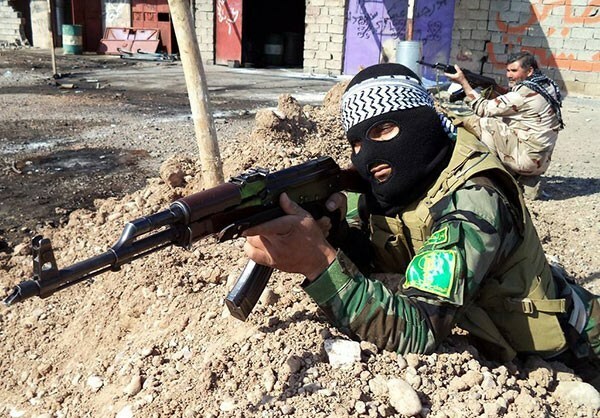 Shiite Militiaman Holding Defensive Position Inside Tikrit. Photo courtesy FARS news agency. The larger cities in Anbar controlled by Islamic State, Ramadi and Fallujah, have significant populations. Mosul's population is several million. It's unlikely that these cities will be abandoned the way Tikrit was. Either way, the Iraqi government will either find itself dealing with a large number of displaced refugees or face an urban war zone with a considerable number of civilians present. 5. Large quantities of munitions were expended in the campaign to take Tikrit. Urban warfare, as a general rule, consumes a lot of ammunition. Iranian "swarm tactics" coupled with the indiscriminate firing by Shia militias further aggravated the rate of consumption. At this point it's not clear whether resupply of munitions may become a factor as the campaign against Islamic State continues. Most of the militias are armed with Soviet era weapons. 6. Finally, following the capture of the city there were widespread reports of Shia militias engaging in looting and revenge killings against the Sunni inhabitants. For the Sunni inhabitants of Islamic State, liberation is likely to represent a mixed blessing. There was a token force of Sunni militias that participated in the operation, but what role they played after the capture of the city is unclear. Under these conditions, recruiting a significant number of Sunnis to participate in the campaign against Islamic State may prove difficult. With the fall of Tikrit, Baghdad will have to choose whether to proceed northward up the Tigris Valley towards Mosul or to proceed west and secure the balance of Anbar province. Both targets have their advantage. Mosul is the Islamic State's largest city. Retaking Mosul would cripple the Islamic State and leave the remainder of its territories in Iraq linked very tenuously with the balance of its forces in Syria. On the other hand, an attack to the north might prompt Islamic State to mount an offensive against Baghdad from Anbar province as a way of deflecting the campaign to retake Mosul. As of April 11, Baghdad was indicating that it intended to focus first on clearing Anbar province of Islamic State militants and eliminating the threat of an Islamic State attack on Iraq's capital. This might all be subterfuge of course to confuse Islamic State of the true target. Clearing Anbar first, however, is a more prudent strategy and it also defers, for the time being, having to come to an agreement with the Kurdish Regional Government on what role Peshmerga forces will play in the Mosul campaign. Tikrit may have been a military victory for the Baghdad government, but its record in fighting the battle underscores the point that Islamic State will not be rolled back without the participation of American air power and that even with U.S. military support, the campaign to roll back Islamic State will be long and hard and will likely extend well into 2016, and possibly beyond. The more protracted the campaign the more jihadist militants will be recruited by Islamic State and the harder it will be to keep the Iraqi coalition together.